Dora Michail, senior director for programmatic and audience solutions at Yahoo EMEA, offers advice on selecting a DSP partner. Watch the interview or read the full transcript below. 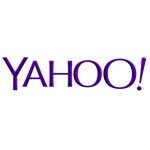 PARTNER CONTENT: Yahoo’s senior director for programmatic and audience solutions, EMEA, Dora Michail explains what factors advertisers should consider when selecting a DSP product. Dora Michail: “I think it is important to think about what a good DSP needs to be able to do. It needs to be media agnostic, so it needs connections with all of the good brand safe supply out there. It shouldn’t favour one supply over any other; it should have good unique data sets. Data is the central point of value in the whole programmatic ecosystem, so that’s really key. I would suggest that as a programmatic buyer, you’d be ok with the ‘test, learn and iterate’ option because you can learn in real time – that’s the beauty of what we can do online. That’s how I would approach it. Dora Michail: “It does come back to ‘test, learn and iterate’, absolutely. I think you should be comfortable with knowing who you expect your audience to be but be open-minded to finding a new audience. Another thing that a good DSP will do is provide insights. We previously talked about Yahoo’s one billion users – being able to find a DSP that can provide that kind of depth and breadth of insight and targeting options is quite something when you’re thinking about your best practice and trying to find the best way to achieve your KPIs. So I think that’s definitely key. Dora Michail: “When we think about programmatic advertising, we’re more mature than I think often the industry talks about us being. It is a nascent industry, absolutely, but so is digital marketing overall – we’re only 20- to 23 years old, so programmatic is very, very new – it’s just a baby. At the same time, I think you’ve got some really smart people doing some really clever things and the way that we learn as an industry is by being open. “I think the beauty of a DSP like BrightRoll is that it’s an open marketplace. Again, it comes back to this idea of being agnostic. By having an open marketplace what we allow is for the added value service providers like brand safety, viewability measurement, verification of audiences and all of these sorts of value add type services to come onto our platform and that gives advertisers choice and that’s really, really important. We’re not trying to dictate what value add services should be used or that they should even be ours. We’re making it open and it comes back to being able to learn. So in terms of whose doing it well, I think that programmatic buyers should use various different platforms and try a number of different service providers until they find that sweet spot for themselves.